Syeda Bakhtawar (Bellevue) - Book Appointment Online! 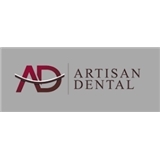 Artisan Dental is a Bellevue based family dentist practice that treats patients of all ages. We are committed to delivering the highest quality dental care and do so using advanced dental equipment. We are a cosmetic dentist that offers services like checkups, teeth cleaning, crowns, veneers and more. Very attentive and diligent. Excellent care.